Much has been said this season about Andrea Pirlo’s defensive liabilities. The former Italian international’s deficiencies while on the other side of the ball were well documented in losses to D.C. United and the San Jose Earthquakes early this year, the latter in which a poor back pass to goalkeeper Sean Johnson resulted in a goal for the visitors. 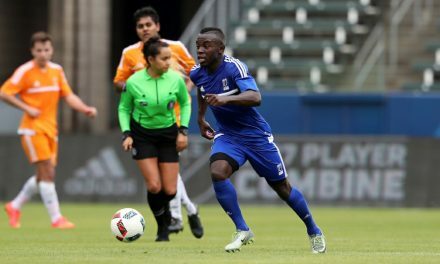 They were put on the back-burner as head coach Patrick Vieira decided to bench Pirlo in favor of Venezuelan international Yangel Herrera. Since then, Pirlo has been in and out of the lineup, with usually disappointing team results. Which brings us to Saturday night and the highway robbery that Darren Maddocks produced in the 44th minute at Yankee Stadium. Pirlo had the ball on the left side, but Maddocks took it away and bolted down the flank. 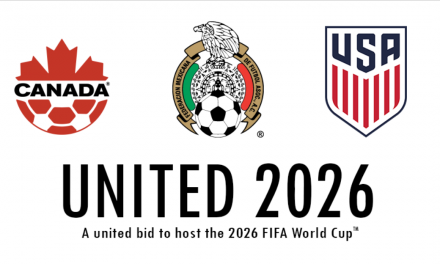 The unmarked Jamaica international crossed the ball into an open Diego Valerio, who struck a 13-yard shot into the left corner. Instead of trying to defend after losing the ball, a frustrated the 38-year-old Pirlo raised both arms, trying to get the attention of the referee and slapped his side in what turned into a 1-0 Portland Timbers victory. Not surprisingly, neither head coach Patrick Vieira or Pirlo’s teammates — the few that were remaining in the locker room—would criticize Pirlo. At least not publicly. In his post-game press conference, I asked Vieira whether he was surprised that Pirlo lost the ball to Maddocks, about the midfielder’s reaction to the referee and the fact he did not run after the Timbers player. Vieira said we didn’t see the same thing. Whatever occurred was unthinkable for a player. That goes triple for a soccer legend. While doing some research on Pirlo, I unearthed an mind-boggling statistic, which I double and triple checked because I didn’t believe it at first. 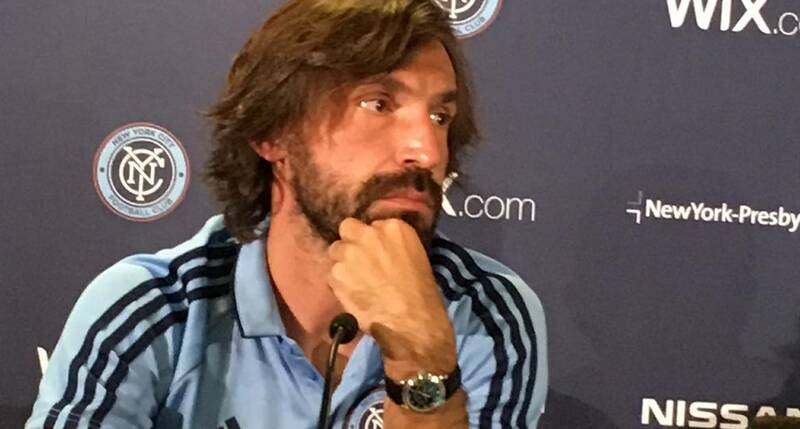 In games that Pirlo has started this season, NYCFC has recorded a 4-7-1 mark. 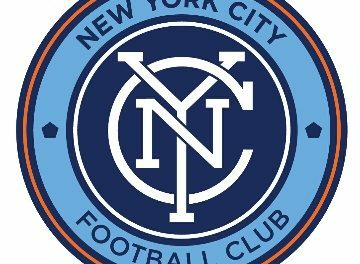 In other words, NYCFC has lost but once without Pirlo in the Starting XI. That’s right, only one defeat in 16 games (11-1-4). In contrast, when the 19-year-old Herrera started, City is 9-1-1. While you don’t have to remind me that soccer is a team game and it takes 11 players to win or lose, those numbers were eye openers. Don’t know if the coaching staff realizes that, but it that should determine into their decision making as the team enters its stretch run to secure second place and strive for playoff success as well. Just in case you were wondering, I should state that I have admired Pirlo from afar, marveling at the quality (titles and honors galore) and quantity (22 years, pro) of his career. I covered the 2006 World Cup in which Pirlo and his Italian teammates took a victory lap in Berlin with the trophy. That world championship goes along with Pirlo’s two UEFA Champions League crowns and winning the Serie A player of the year three times. The few times I have engaged Pirlo one-on-one, in a small group or in a press conference, I feel he has been straight forward with his answers. During an interview at training this year, he spoke about his benching — in English. It has been difficult to watch any player not perform up to the high standards he set, especially someone like Pirlo. 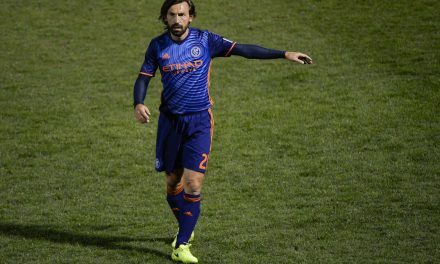 Outside of injuries, yellow or red card suspensions or a dip in form, I just wonder if we have seen the last of Pirlo as a starter, especially with only seven games remaining in the regular season with so much at stake in the playoffs. Perhaps Pirlo will be given an opportunity to perform magic at least one more time in a vital game or situation. But given what has transpired this year and Saturday night, that probably would be rather surprising.